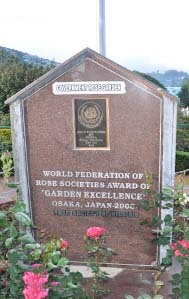 The State Horticulture Farm, Kattery, Coonoor was established during the year 1975-96 as per G.O.Ms. No.1486 Agri.Dept 24.09.75 and was taken over by the Department under compulsory acquisition from 01.08.1987 Onwards. The farm is hired from a private sector and started to cultivate high yielding vegetable seeds. During the period of 1976 to 1981 the farm is named has Vegetable and Seeds Production Centre (VSPC). The seeds are distributed to the small farmers and marginal farmers. During the period of 1981 – 1988 the farm is renamed has Plants and Seeds Production Centre (PSPC). In the later stage, under the Hill area Development Programme, Tea nursery was started for the production of Tea Clones, Vegetable Seeds, Fruit Plants, Shade Trees and maintenance of mother Tea bushes and fruit trees is being done. The yielded items distributed to the small farmers and marginal farmers. 1988 – 1989 the farm is renamed has State Horticulture Farm, the farm is production with V.P. Tea Clones, Silver Oak Plants and other Ornamental Plants. The park is a cynosure of all the eyes during the Peak of summer season. Name of the farm – State Horiculture Farm, Kattery. Location Dist/ Taluk /Block – The SHF is located about 8 Kms. from Coonoor on Mettupalayam to coonoor main road an just above the Runnymede Railway Station. Nilgiris District. Coonoor Taluk. Government Order No – Permanent. The total of the farm is 18.956 Ha. The farm has been divided into five blocks and the extent of each block is given below. The main feature of this Farm / Park is to give the aesthetic sense peace of mind to the peoples. A large variety of fascinating flowers are planted along with the Beautifully trimmed bushes around garden. We have collection in different type of flowering annuals, Shrubs, Cacti, Ornamental flowers, Lawns and also fruit trees like Pear and Jack. To entertain the children below 10 years, Children Park available in the park Premises and the Well developed grass meadow and trees with large company make the ambiance fresh and calm Kattery Park is also one of the pleasing tourist spots in Coonoor, The Nilgiris. This park was partly protected by compound and partly, solar and chain link, fencing. Infrastructure facilities available in this park Canteen, Office, Staff Quarters, Water Fountain, Parking Facility is established in the park to entertain the visiting Public. Serving an important education centre not only to the students of Agriculture, Horticulture, Forestry and Botany but also to the farmers of different states. To serve as a picnic spot where people from various walks of life can visit and spend their time joyfully as it has got a salubrious climate. Creating an awareness about maintenance of Gardening and Eco system to the visitors, students, tourists & public through visiting the Kattery Park, which is closed to Law Falls and Runnymede Railway Station. The State Horticulture Farm, Kattery is situated at an elevation of 1450 meters above M.S.L. The Maximum temperature is 26 °C and the minimum is 10°C The Relative Humidity is 60 to 75%. The annual rainfall various between 1400 to 1500 mm. The farm receives rains both from the southwest and Northwest monsoon contributing 22.40% and 54.75% respectively. Of the total rainfall followed be summer showers and less by winter showers. Around 6.00 Acre of this farm area tea mother plant was maintained. Single node cuttings of tea will taken from the mother plants for the propagation purpose. Tea green leaf was also harvested. Fungicides – Copper Oxy Chloride.